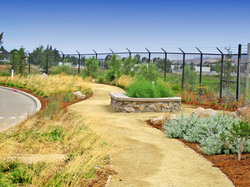 Located at the district headquarters for the Dublin San Ramon Services District in Dublin, the existing water conservation garden will be transformed to a new Drought Resistant and Recycled Water Garden. 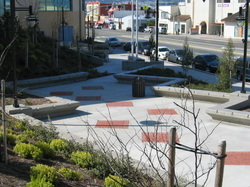 Located on a steep hillside in Daly City, the proposed site improvements included the design of all site and landscape improvements. 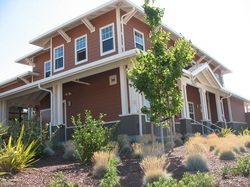 Located in the Alviso section of San Jose in a flood plain zone, the building was placed on a 10-foot rise of imported soil that posed a challenge to planting considerations. 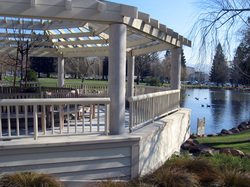 Tanaka Design Group was responsible for all site improvement design, including driveway and parking lot, entry plaza, outdoor classrooms, and terraces for special events such as weddings and other formal ceremonies. 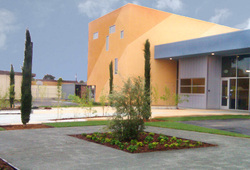 Located on an existing elementary school campus, the new facility will provide a wide array of recreational and athletic activities for the children of Alameda. 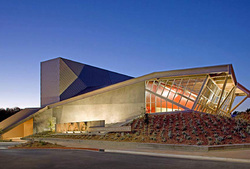 Landscape architect for new Performing Arts Center, destined to be the centerpiece of Menlo-Atherton High School and the surrounding communities.